The 10th edition of the Dubai International Coffee and Tea Festival (DICTF) will host the world’s richest Coffee Championships and bring the world’s top barista talent to the region. The event will run from December 5 to 7 at the Dubai International Convention and Exhibition Centre. The Dubai International Coffee Championships offers a prize pot of over $50,000, with a Championship prize of $40,000, said a statement from the organisers. Sponsored and supported by DICTF, the region’s longest running trade event dedicated to the specialty coffee and tea industry, the Dubai International Coffee Championships is an integrated event that tests the skills of competitors in practical aspects of coffee making, including espresso, latte art, brewing skills and food pairing, it said. The championships will incorporate two categories of participants to allow UAE-based Baristas to engage with some of the world’s top Barista talent and benefit from their knowledge, expertise and shared insights, it added. The winner of the International Competitor category of the Championship will take home $40,000; while International runner-up will win a cash reward of $5,000. Winner of the National Competitor category will take away Dh15,000 ($4,083), with the National runner-up bagging Dh5,000 ($1,361). “Now in its 10th year, the event has become the UAE’s go-to exhibition for specialty coffee and tea professionals,” he added. 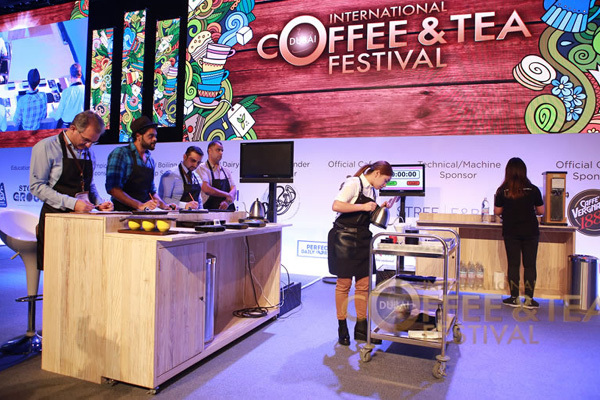 Other major highlights of DICTF 2018 include the UAE National Tea Masters Cup, the Cupping Corner and the Specialty Coffee Association (SCA) Education Programme, said a statement. Hospitality industry professionals, café owners, entrepreneurs and coffee and tea enthusiasts will be able to see and learn about new and innovative technologies, products and services including state-of-the-art coffee machines, grinders, coffee roasting equipment, brewing gadgets and accessories, café design, coffee bar equipment and accessories, water filtration systems, a wide range of specialty coffees, teas and mixers, ancillary products and international franchisor/franchisee opportunities, it said.